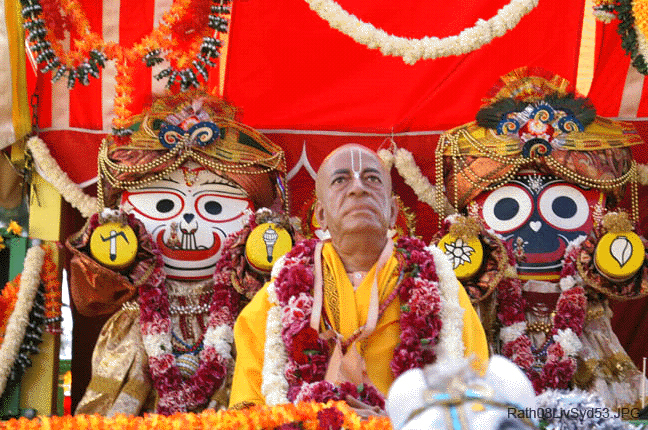 Briefing reporters on the event here on Thursday, Iskcon's Belgaum unit president Bhakti Rasamrita Swami said the procession will begin from Bogarves at 2 pm on Saturday and pass through College Road, Samadevi Galli, Ganapati Galli, Maruti Galli, Kirloskar Galli, Patil Galli, Kapileshwar Road, SPM Road, Khade Bazar, Shahapur, Nath Pai Circle, Goaves, Maratha Mandir auditorium and end at the grounds behind Iskcon temple at 6.30 pm. The procession route will be decorated with rangolis by devotees and the entire stretch will be dotted with flags of different colours. People can shower the flowers on the procession or serve water/ juice to devotees, he said, and added that Iskcon devotees, while forming keerthan troupes, chant and dance in the procession. The devotees are expected from Maharashtra, Karnataka, Goa, Andhra Pradesh, Tamil Nadu and aborad. Various cultural programmes by children will be organized. Stalls featuring Bhagvad Gita exhibition, slide shows, meditation park, spiritual books and devotional paraphernalia will be put up. Lokanath Swami, Bhakti Vikasa Swami, Sukhadeva Swami, Ram Govinda Swami, Bhima Prabhu and other religious heads from various parts of the country will grace the occasion. M L Agarwal, chairman of Rath Yatra committee, and Shankargouda Patil, chairman of Karnataka State Forest Industries Corporation, were present.